Photo By Paul Purpura : ©2011 www.nelsoncountylife.com : A beautiful view of springtime looking at Twenty Minute Cliffs on the Blue Ridge Parkway this past Sunday afternoon 5.8.11. NCL Mountain Photographer, Paul Purpura, nailed the feel of springtime in the mountains perfectly. 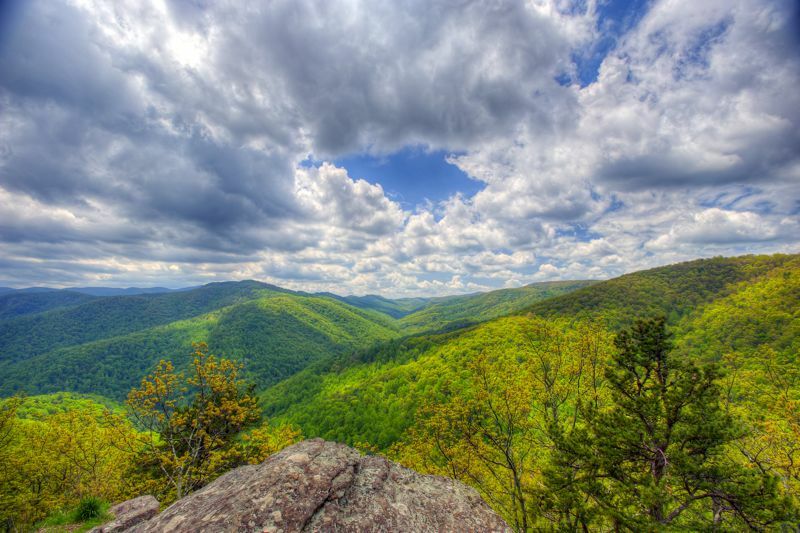 His photo shows the beautiful lush green colors coming to life in the higher elevations of Nelson County. While the valley portions are in full green, there are parts of the highest elevations that are still coming to life. After days and weeks of rain, the first part of the coming week looks dry, mild, and mostly sunny. The next best chance for rain is late this week. Tommy talks more about it in his audio weather by clicking below!